Two fossilised dinosaur skeletons dating back to the Jurassic period were assembled in Paris ahead of an auction next week where they will be set up in a fighting position. 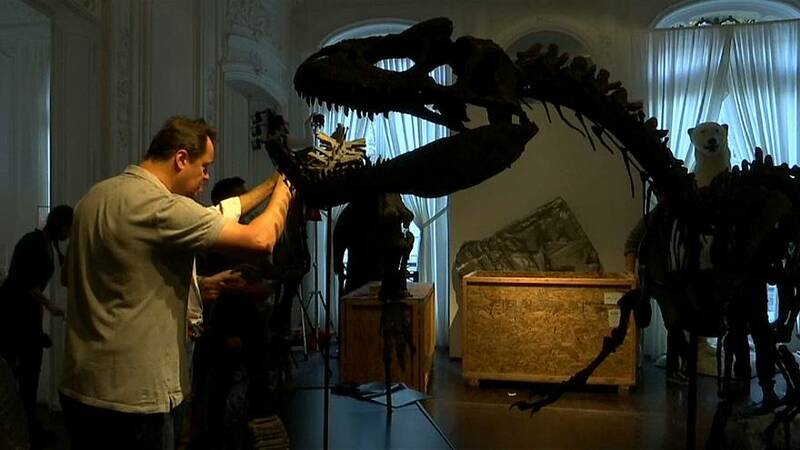 The two 4-metre long skeletons, a Camptosaurus and an Allosaurus, were discovered in the state of Wyoming in the United States. The Camptosaurus, a herbivore which is 90% complete, could fetch between €500,000 and €700,000, while its carnivorous counterpart, which is 55% complete, is estimated to sell for between €600,000 and €800,000. The "Natural History" auction will take place on November 21 at 1.30pm GMT at the Artcurial auction house in Paris and is composed of 114 pieces, which include an array of stuffed wild animals.